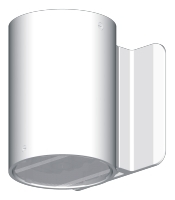 MLS Series - Surface Mount Down Light - Signtex Lighting Inc.
All MOONLITE fixtures have a dual lighting function, for normal ambient lighting as well as emergency lighting. The night lighting option delivers big power savings, or can act as a low-energy booster for conventional ambient lighting fixtures. The Security Lighting option can be controlled by an internal time clock, photocell, or from a building management system. 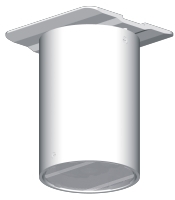 Mounts cleanly with standard back plate to wall or ceiling, or direct to j-box for exposed conduit applications, such as unfinished ceilings. Standard satin white finish; custom paint or satin anodized finishes are also available. High power LEDs and optical lenses produce an optimized elongated pattern along the path of egress. AC= For connection to AC 120/277 emergency supply.